How Do I Tell My Boyfriend I Want to Move Out? You may not be able to ask your roommate to leave if you still have a lease. 4 How Do I Tell My Boyfriend I Want to Move Out? Every relationship evolves over time, for better or worse, including the relationship with friends and roommates. Whether you are moving, your living situation has changed or you just simply want to part ways, telling your roommate to move out is a sensitive matter that should be approached cautiously to avoid unnecessary conflict. Treating your roommate with respect and giving him a reasonable timetable in which to move can help in making both of your transitions run more smoothly. When ending your living arrangement with a roommate, you should first decide how to approach her. If you are currently in a lease, or if you share certain bills or utilities, plan to discuss how those bills will be separated upon her moving out. You should also plan to discuss any debts to one another and how you expect to resolve those debts. After deciding that you want to ask your roommate to move out, approach him one on one and ask to talk privately. If obvious changes have been occurring in your lives, such as a promotion at work or a recent engagement, your roommate may already suspect that you intend to move on. Treat your roommate respectfully, but let him know that you would like to him to move out. Chances are that your roommate may not be able to move immediately after you ask her to move out. 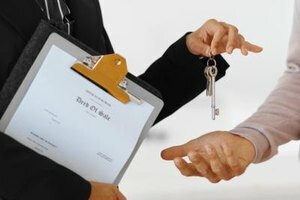 If you share a lease together, you will either need to fulfill your lease, or consult with your landlord to discuss how to resolve your contract. It may also take several weeks for your roommate to both make new living arrangements and move her possessions. Try to give your roommate an appropriate amount of time to gather her effects without overstaying her welcome. Ending your roommate agreement does not have have to mean the end of your relationship or friendship with your roommate. Even if you are currently at odds with each other, remaining civil after asking your roommate to leave may leave the door to revisit your relationship after the dust from your roommate's departure has settled. Once you have given your roommate a deadline to move, stick to it. Prolonging the move may only burden you with additional stress and make an already uncomfortable situation even more so. While you may feel responsible for your roommate's oscillating living situation, ultimately it is his responsibility to seek out new living arrangements.